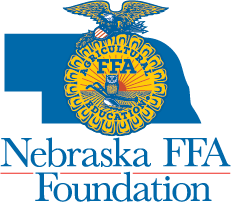 (Lincoln)- More than 3,000 Nebraska FFA students will engage with more than 40 agricultural companies during the annual State FFA Convention Career Fair April 8. This event will allow students to explore future career opportunities while helping to address the issues around the shortage of employees in agriculture, which includes rural Nebraska. According to the United States Department of Agriculture (USDA), agriculture industries contributed over $800 billion in U.S. gross domestic product. This is promising for FFA members in Nebraska who are prepared for careers in agriculture, food and natural resources. The USDA expects an average of 57,900 new agriculture related jobs annually between 2015 and 2020. However, only 61 percent of these jobs will be filled with graduates with expertise in food, agriculture, renewable natural resources or the environment. The agriculture classroom, supervised agriculture experiences and the FFA student organization is helping to fill this gap by engaging students in agriculture career opportunities and career readiness skills. Nebraska FFA industry partners Verdesian Life Sciences and Aurora Cooperative understand the value of connecting early with future potential employees.